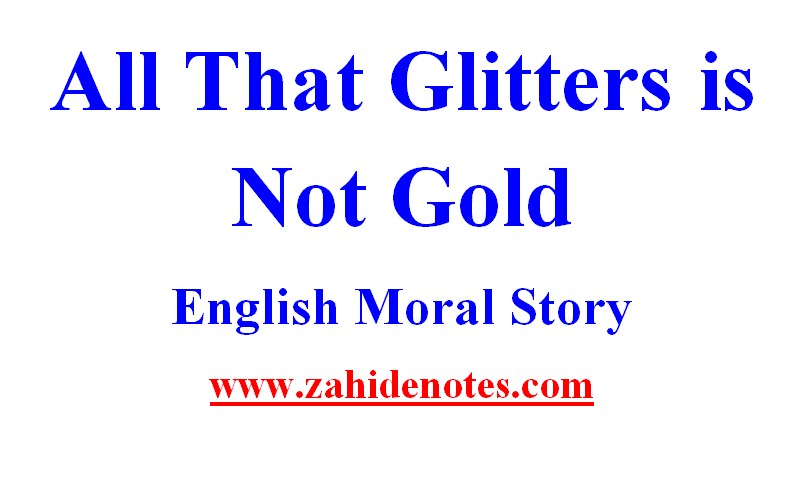 Here is the story with a moral lesson all that glitters is not gold. This is the story of a foolish stag. Once, a stag lived in a jungle. He used to drink clear water from a nearby stream. Whenever he saw his reflection in the water, he praised his beautiful horns. He felt proud of his horns. When he looked at his thing ugly legs, he disliked them. He thought that his legs were a shame for him. One day as he was drinking water and feeling sorrow for having ugly legs, he saw a pack of hounds running towards him at a short distance. He ran away. The hounds kept on chasing him. He ran as fast as his legs could. Soon he left the hounds far behind. He was crossing the bushes when suddenly his horns were trapped in a bush. He tried his best to release himself but he could not. His beautiful horns would not let him move. Meanwhile, the hounds reached there and they attacked him. They tore him into pieces.